Live Planet is a 3D-360 degree camera with live streaming in 4k. Previously called the Quantum Leap Pro, it was first announced in April and now more details are becoming available for the retail version. 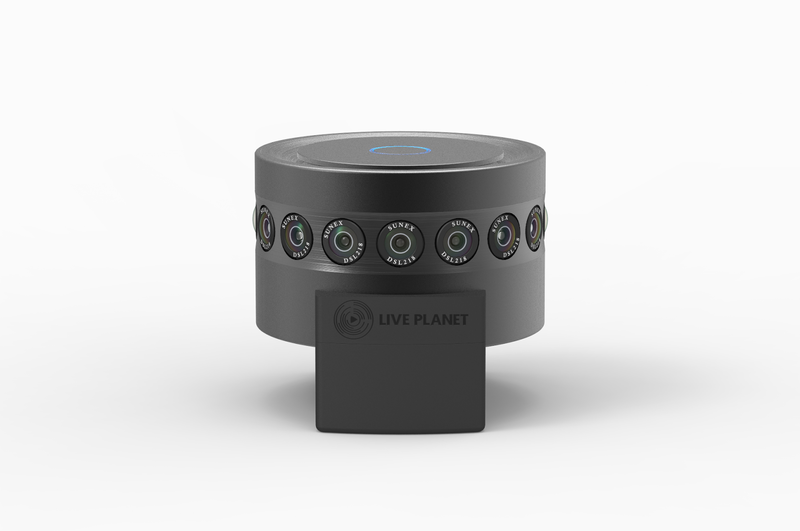 The Live Planet camera uses sixteen DSL217C lenses, each with a 180 degree field of view, thus creating a fully spherical field of view without the need for a separate lens for the nadir or zenith. It can live stream at 4k at 30 fps (4096 x 4096 top-bottom 3D 360 format). Alternatively, it can record at 4k at 60 fps at the same resolution. It can also take 3D 360 stills at 8192 x 8192 (67 megapixels). 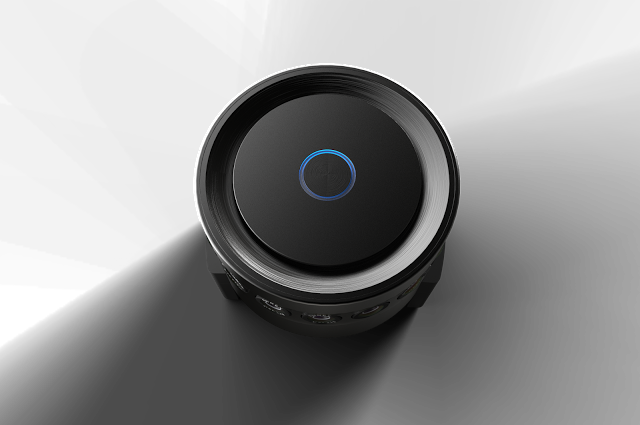 The Live Planet camera is remarkably compact compared to some 3D 360 camera rigs, at only about 4 inches length and 3.5 inches height, and 1.5 lbs. weight. One technical problem with 3D 360 cameras, is the parallax stitching issue. To create a 3D effect, the lenses have to be further apart. If they are not sufficiently far apart, then the 3D effect will be diminished. On the other hand, if lenses are farther apart, the parallax stitching error will be more noticeable (near objects will appear split in half). The Live Planet camera ingeniously overcomes both issues by pairing every 4th lens (instead of the lenses next to each other). The lenses would be farther apart (in this case, 70mm interpupillary distance) for a sufficiently 3D effect. At the same time, the distances between the respective centers of each pair would be closer than the physical diameter of the camera. 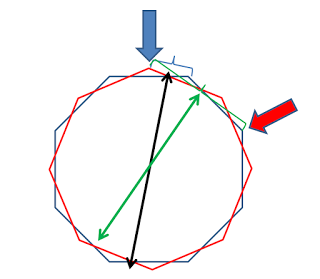 In the diagram above, the blue octagon represents the “left eye” view. The right octagon represents the “right eye” view. Instead of pairing the lenses that are next to each other, the lenses are offset by 3 lenses (the blue arrow is paired with the red arrow). This creates a greater IPD (compare the green brace with the blue brace) for greater 3D effect. At the same time, the distance between the lens becomes smaller (the green arrow is shorter than the black arrow). The Live Planet camera will be released in Q4 2016 at an MSRP of $9,995. However, it can be preordered at $4,995, the same price as the GoPro Omni rig.